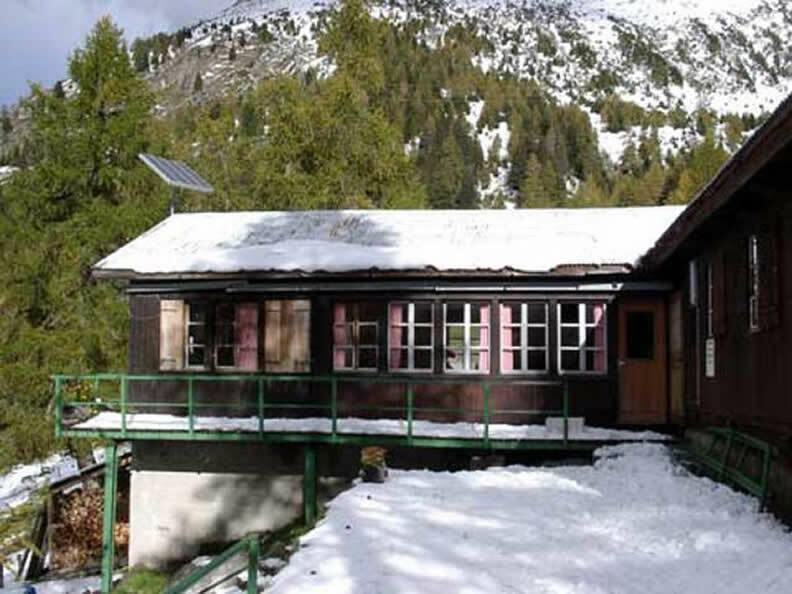 Wooden building of 1940 has been restored in 1958, with solar lighting and inside toilets. 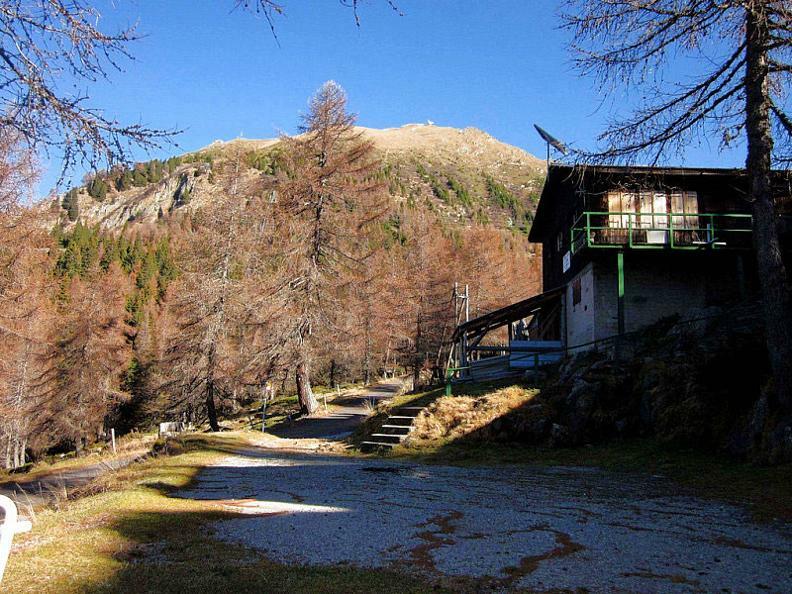 Situated in a beautiful valley surrounded by larch trees and pastures, this hut is particularly suitable for family outings in a restful and peaceful landscape, is also an interesting place to make excursions with mountain biking, where you can toggle climbs along forest roads which paved the Valley of Arbedo and the road that goes from Roveredo via Monti di Laura, which runs along paths that way Motto of the Cross leads to Monti di Ravecchia. 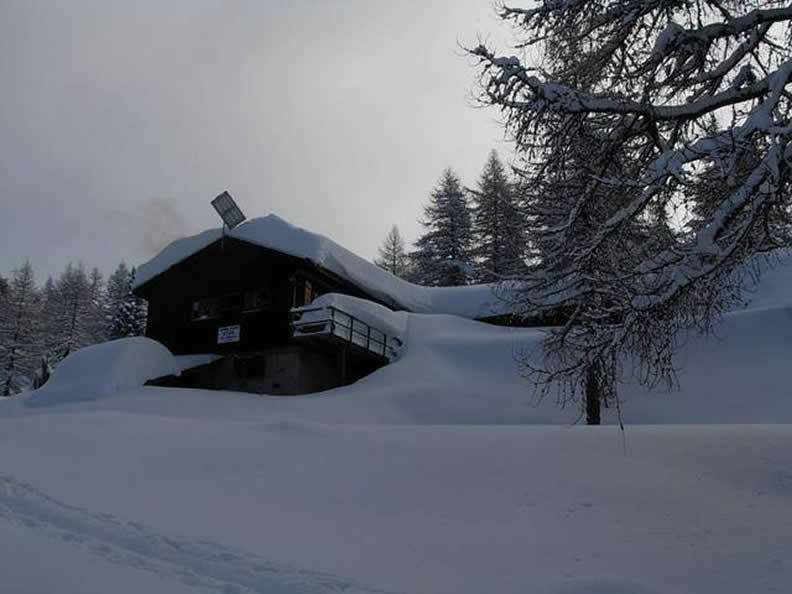 In the summer thanks to the beautiful terrace you can enjoy excellent meals prepared by the keeper. Meals: in the presence of the guardian can have meals at noon and half board for those who stay. ... where to learn more?